What is and how does uninterruptible power supply (UPS) work? The recent Amazon Web Services (AWS) outage highlights the growing dependency we have on data centres and more importantly the web-based services they provide. The service outage lasting five hours was put down to human error by a coder debugging of all things the S3 billing service; this led to the accidental removal of crucial subsystems within the IT infrastructure. There are thousands of uninterruptible power supplies in the UK run without a UPS maintenance contract. They tend to be protecting smaller installations and are almost always run on a ‘fix when it breaks’ policy. Is this the best way to manage a critical power system? Last year we worked with two university data centres who were both looking to upgrade existing transformer-based UPS. Their legacy UPS systems were approaching end-of-life and would require a costly overhaul to maintain operational effectiveness with mandatory fan, capacitor and battery replacement. Each UPS was around ten years old. Though the installed UPS represented the best engineering expertise at their time of installation, operational efficiency was dismal compared to systems today. With a 50% loading the UPS were around 70% efficient. Generated heat also added to the cooling requirements and air conditioning costs. UPS stands for uninterruptible power supply and is a type of backup power device. There are several UPS device types manufacturer brands to choose from and the market place can seem cluttered with confusing claims. Here is a quick checklist for choosing the right UPS device to protect your network servers and computers. Load bank testing is provided by EcoPowerSupplies for clients who want to integrity test their uninterruptible power supply and its battery set. Load bank testing can form part of a Site Acceptance Test (SAT) or Factory Acceptance Test (FAT) or as part of the commissioning or preventative maintenance visit. The ‘Internet of Things’ is a simple concept in which everyday devices have network connectivity, allowing them to send and receive data for monitoring, analysis and management. 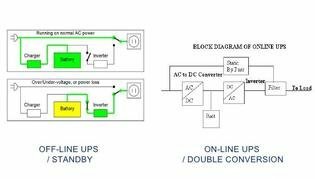 UPS systems are one such device whose connectivity via the internet could open up a wider energy storage role for the thousands of systems already installed. I’ve been checking out a Tesla car today. The Model S is a superb piece of engineering. At its heart is a sophisticated and elegant combination of electronics, an electric motor and a fuel source: a lithium-ion battery pack. Fully discharge the battery (after 260 or so miles) and all you have is a car that won’t start. Plug the car into a rapid charging station (of which there are more and more opening up on our motorway services) and within two hours you can have a vehicle battery recharged to 80% of its total capacity. Riello UPS enriches Multi Power offer adding new features and options on the product portfolio. Multi Power becomes more and more suitable to satisfy any specific need in the challenging data centre environment. 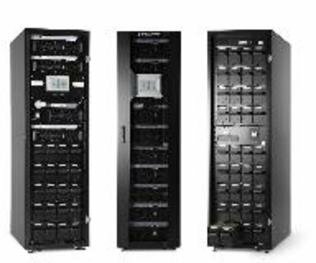 Modular UPS systems are now one of the fastest growing areas within the uninterruptible power supplies market. Many UPS manufacturers now offer both types of UPS system but is modular the right choice for your application? The topic of UPS efficiency continues to rise up the corporate IT and datacenter manager’s agendas. Whether you are looking to install a new uninterruptible power supply or upgrade an existing UPS installation, improving operational efficiency can not only contribute towards capital cost recovery but will also lower total costs of ownership over the life time of the system. No matter what you are buying it’s important to check the warranty terms and what they cover. For UPS systems the warranty can range from 1-5 years and not all of them allow for batteries failures directly. Should You Repair or Replace An Ageing UPS? They say that 80% of all uninterruptible power supply failures are down to a failed battery. This may be true in a lot of cases but simply signing off a replacement battery order my not be the right approach to get your UPS system back up and running. As a leading UK supplier of UPS Systems we offer a number of different types of UPS, manufacturers and their associated options and peripherals. Sometimes it can be quite daunting when first faced with the prospect of choosing the right UPS and level of power protection for your application. We are so used to simply being able to plug-in items to the local wall sockets or power distribution unit outlets that we often don’t consider the electrical planning that has gone into a building design and power continuity plan. Yet without adequate planning, electrical circuits can become overloaded and in the event of a power cut, loads can suddenly be left without electrical power. A datacentre is a power and cooling controlled environment in which servers are operated. There is no actual size-related definition and so even the smallest server room with a single rack cabinet can be a ‘micro’ datacentre. Our computers and systems seem to be constantly at threat, but as users we can do something to prevent threats and viruses. At what point do you start to think of your computer or server room as a micro datacentre? If we define a datacentre as a controlled environment with managed power and cooling, you can probably say that most UK organisations run a datacentre, even if they outsource some services via the Cloud. Improved energy efficiency is one of the key drivers for upgrading equipment in IT and data centre environments. When replacing some legacy UPS systems the improvements can be substantial. Uninterruptible power supplies are rated in kVA and kW and for most applications are never expected to be more than 80-90% loaded. There are three key-components in any UPS installation: the uninterruptible power supply, the batteries powering the UPS system and the external maintenance bypass arrangements. Each can have a significant impact on the overall reliability and resilience of the installation. In the UK the need for battery backup power systems is growing outside the typical critical power environments we associate with uninterruptible power supplies, namely data centres and industrial. Battery backup is now seen as one of the leading solutions to the supply problems facing our national grid and in this instance the devices used for battery backup are called energy storage systems. Whether you are specifying uninterruptible power supplies or energy storage systems there are some common areas to consider. A relatively straightforward question always deserves a straightforward answer. Perhaps it’s just not as clear in the UPS systems industry. In general terms, an uninterruptible power supply is a device that stores energy and release it to provide a source of power when the mains power supply fails or fluctuates. So it’s a battery or at least battery management system? Riello UPS is pleased to announce the operating system and application upgrades of its network communication card NetMan 204 that improve considerably the overall performances. The Internet of Power (#IoP) is almost upon us. Slowly we are undergoing an energy generation and storage revolution, which is transforming how we generate, distribute, store and use electrical energy to power our everyday lives. The key to this revolution is not just the electronics and control systems required but also the energy storage technologies available and our own thinking when it comes to electricity. In the world of uninterruptible power supplies, parallel architecture has always been available as a way to increase the fixed capacity of an overall UPS system or provide N+1 resilience. The principle is simple. If you have a 500kVA UPS system and want to add N+1 redundancy or increase the UPS fixed capacity to 1MVA (2×500kVA), you have to add parallel cards to each UPS system and install the necessary electrical infrastructure and power distribution. Currently over 95% of all uninterruptible power supplies use batteries as their energy storage component and that battery is typically a Valve Regulated Lead Acid (VRLA) block. There are alternatives including Lead-crystal batteries and in some older UPS systems Nickel-cadmium. New installations of the latter are banned in most countries for environmental reasons. With more and more uninterruptible power supply manufacturers launching modular UPS systems, you would be forgiven for thinking that the market is veering towards this type of power system at a fast pace. There is a growing choice when it comes to choosing the right UPS to protect your data centre applications. Modular uninterruptible power supplies are becoming more popular thanks to their easier ability to scale when compared to a traditional mono-block UPS system. The automotive industry was dealt a real blow last week when Volkswagen announced that they had included software in their engine management system to beat emissions tests. If you set a standard, then no matter what the industry is you will see manufacturers do their utmost to meet or surpass it. Almost anything goes when it comes to generating sales literature and advertisements that will sell a product.